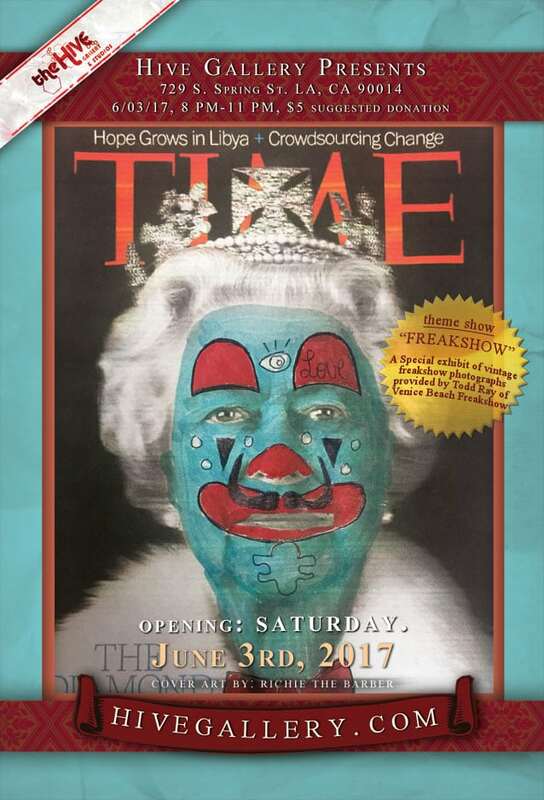 June 2017- Hive’s 4th annual Circus show!!! Danny Fish / Laura Castellanos / Ashley Urban / Azusa Chiyoda / Chandra Cerchione-Peltier / Jess Jerome / Larkin / Kent Caldwell / Kimberly Lyons / Grace Kim / Reina Imagawa / Ken Dougherty / DCYPHER/ Bill Bronson / Janet Muler / Kelly Vetter / Robyn Alatorre / Chris Waterman / Chuka Chesney / Xian Pitt / Steve Hernandez / Joy Heliotrope- featuring Asia Ray / Jeff Carey / Allison Smith / Dustin Myers / Wiejia Kang / Paul K / Chrsitie Shinn / Nicole Filiatrault / Ashford Harrison / Ashley Urban / Pamela Mower-Conner / Pascal Cormier / Marissa Lamour / Ryan Klass / Henry F. Cram / Ryan Ebelt/ Joe Holliday / Lauren Mendelsohn Bass / Chinacat 663 /many more to be announced!!! Mo Powers / Charlie Chiodo / Ed Xu / Pukac / Gordan Ristic / Nathan Cartwright / Bryan Anthony Moore / Jimi Martinez!